Deanna “Tweety” Nolan grew up in Flint, MI where she attended Flint Northern High School. As a member of the Lady Vikings basketball team Deanna helped lead them to two State Championships in 1994 and 1995. Nolan averaged 13 points, six rebounds, three assists and four steals in her senior season. That same year Deanna Nolan was the recipient of the “Miss Basketball” award which is given annually to the state’s top senior high school basketball player. Nolan was also a high jumper and longer jumper in Track & Field. After graduating from Flint Northern High School, she continued her academic and athletic career at the University of Georgia where she played from 1997-2001. Deanna was a standout player and leader for the Lady Bulldogs, helping them reach the Final Four in 1999. While at Georgia she also won a SEC Season Championship in 2000 and a SEC Tournament Championship in 2001. Nolan also earned All-SEC honors while at Georgia and in 2001 she entered the WNBA draft. Deanna was the 6th overall pick by the Detroit Shock in the 2001 WNBA draft, what followed was one of the greatest WNBA careers of all time. Nolan helped the Shock win three WNBA Championships in 2003, 2006, 2008 and was the MVP of the 2006 WNBA Finals. Deanna was a five-time WNBA All-Star, was named to the All-WNBA team three times and was on the All-WNBA defensive team five times. 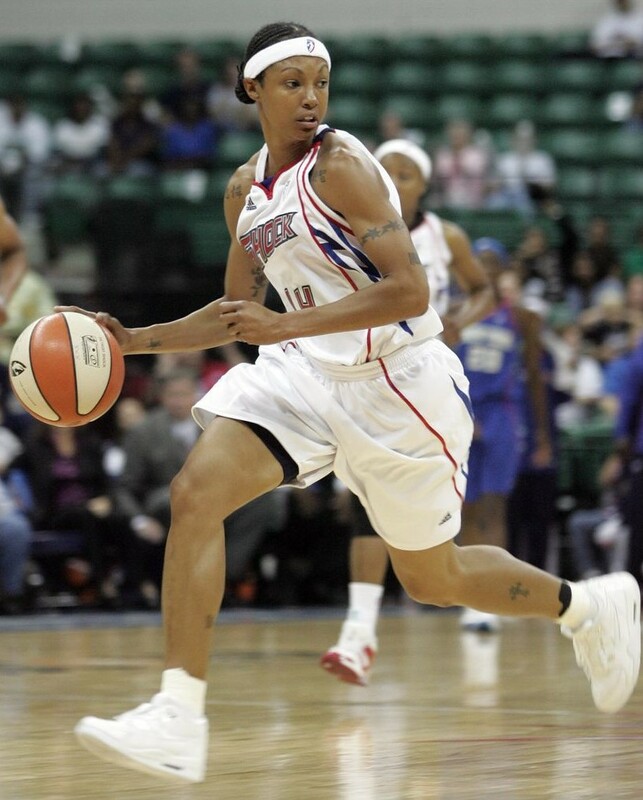 Deanna finished her WNBA career with a total of 3971 points, 1112 rebounds, 930 assists and 388 steals. In 2016 Deanna Nolan was named as one of the WNBA’s Top 20 players of all time. Nolan continued her professional basketball career in Russia as a member of the UMMC Basketball Club team. She has earned several accolades in her international career included being an All-Star in the Euro League and winning the Euro League championship in 2013, 2016, and 2018. Deanna Nolan you are the true definition of being “Flint Strong”! You have made Flint proud. Welcome to the Greater Flint African American Sports Hall of Fame!